The Manas Tiger Reserve is nestled on the northern bank of River Brahmaputra. The sanctuary sprawls over the districts of Kokrajhar, Bongaigaon, Barpeta, Nalbari, Kamrup and Darrang. The core-zone of the Reserve is the Manas National Park, while the rest is a collection of 18 Reserved Forests interspersed by revenue villages. Manas Tiger Reserve in Assam is one of the Project Tiger Reserves in India. The prime purpose of forming the Manas Tiger Reserve was protection and conservation of tigers. The sanctuary was created in the year 1973, the time when Project Tiger was set up in India. It is also the ideal habitat for the 21 recorded endangered species of mammals like Hog deer, Sambar, Swamp deer, Asiatic wild buffalo and Gaur. Manas Tiger Reserve in Assam is home to several species of flora such as Shorea robusta, Artocarpus Chaplasha, Bombax ceiba, Careya arborea, Chukrasia tabularis, Dillenia pentagyna, Lagestroemia parviflora, etc. There are also rare plants like Reinwardia indica, Desmoduim motoruim, Biden pilore, Exacum teres, Pygmaeoprema herbacea, etc identified in the sanctuary. There are a plethora of animals at Manas Tiger Reserve in Assam. The main faunal species that you can witness at the sanctuary are Tiger, capped Langoor, Black Panther, Assamese Macaque, Rhesus Macaque, Large Indian Civet, Himalayan Palm Civet, Common Mongoose, Small Indian Mongoose, Jackal, Indian Fox, Leopard Cat, Golden Cat, Asian Elephant, Indian Pangolin, one-horned rhinoceros, etc. 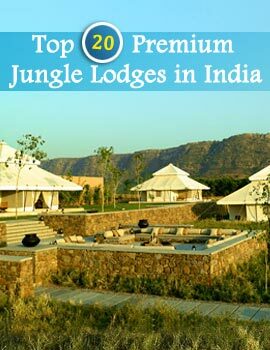 During your visit to the Manas Tiger Reserve , you can enjoy a comfortable stay at the various hotels near the sanctuary. The best time to visit the sanctuary is between the months of November and April. 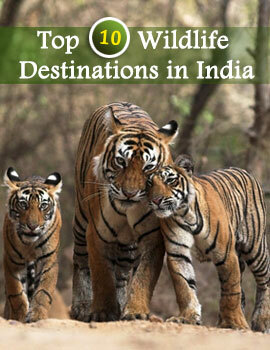 You can reach Manas Tiger Reserve conveniently by air, rail, and road. The nearest airport is 5 km away at Borjhar, while the closest railhead is located at Barpeta road. An extensive network of roads connects the sanctuary to different parts of the state.